Today marks three years since Mazda Southern Africa (Pty) Ltd announced the Retail Finance Partnership with WesBank. On the 1st February 2015, Mazda Financial Services commenced operations as the official finance partner for Mazda Southern Africa with a primary aim of developing "best in class" services, products and "offers" for the Mazda dealer and owner. "We would like to thank Mazda Southern Africa and all Mazda dealer partners for their support towards reaching this milestone." - comments Mr Graham Dunkerley, who heads up the Mazda Financial Services Business Unit. Since operations commenced in February 2015, Mazda Financial Services has seen exceptional growth of over 400%, with a record high of over R132 million lent in December 2017. In 2015, per month finance applications used to average at about 230. These have since grown to over 2000 applications received per month; growing market share to 42% within the Mazda network. Growing from strength to strength, Mazda Financial Services has now also introduced MFS Comprehensive Insurance, for tailor made insurance that is exclusive to Mazda Southern Africa customers. "The decision to have WesBank as our retail finance partner has enhanced Mazda's customer offering and experience. 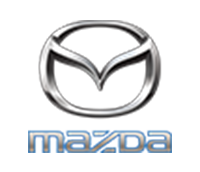 We believe that Mazda Financial Services will continue to deliver and best assist our dealer colleagues in enhancing our primary business of selling vehicles." - says Mr Craig Roberts, MD of Mazda Southern Africa. © 2019 | Eastvaal Motors Secunda Mazda.